Inti Resort and Villas is an excellent place to stay in the focal point of the jungle of Cahuita, a relaxed and colorful village with Costa Rica’s unique Creole culture, due to its Afro-Caribbean history. While neighboring Puerto Viejo is rapidly developing into a can’t-miss destination on the groovier travel circuit, Cahuita has successfully managed to keep a more relaxed relationship with folks discovering the Caribbean coast. Inti Resort allows the guests to re-connect to nature in a very exotic, but safe environment, while the yoga/meditation and spa helps them to de-stress and re-align the spirit. Additional regional attractions include Black Sand Beach. Inti Resort and Villas Cahuita offers uninterrupted court yard views and a range of leisure facilities. Along with excellent meals and quality beach time, an itinerary in this relaxed paradise certainly includes a wander into neighboring Parque Nacional Cahuita. 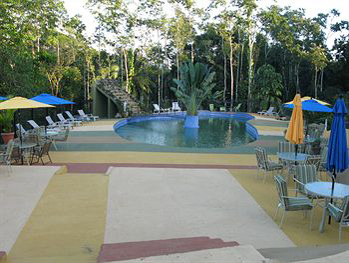 The resort is so peaceful, so majestic with its natural surroundings and extremely friendly. The resort is flanked by the lush National Park of Cahuita, which is replete with sounds of howler monkeys and a variety of rare bird species along with other specimens of the region’s bio-diverse ecology. Designed according to principles of traditional Feng Shui, an ancient art and science developed over 3000 years ago in China, the resort is one of the most Eco-friendly ones in that region. The suites are designed ensuring highest comfort and serenity. Each suite has hot water, a ceiling fan and air conditioning. there is a queen size bed or a double and a single bed. 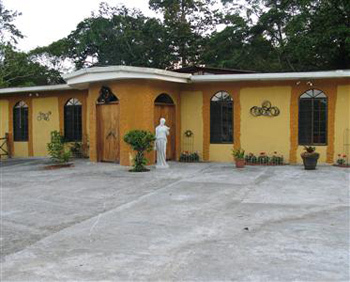 They also provide you with telephone, satellite, and high speed internet access. Located right outside of the city, you can do what your heart desires from: hiking, mountain biking, swimming, horseback riding or just reading and relaxing; the activities are endless! The service is incredible and food is good and the bar very Eco with tables and stools done with natural wood from the jungle. Outdoor Pool and Children’s Pool are great for swimming. 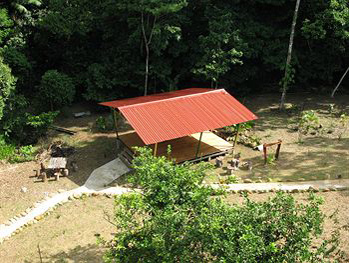 The yoga desk overlooking the jungle is perfect for practicing yoga or pilates. There is a Tennis Court where you can play a few games of tennis. Inti has a the mini golf court which is amazing. They offers yoga and meditation sessions and you can take the advantage of the yoga and meditation classes which were wonderful. USA/Canada : 1-800 916 INTI ( 4684).